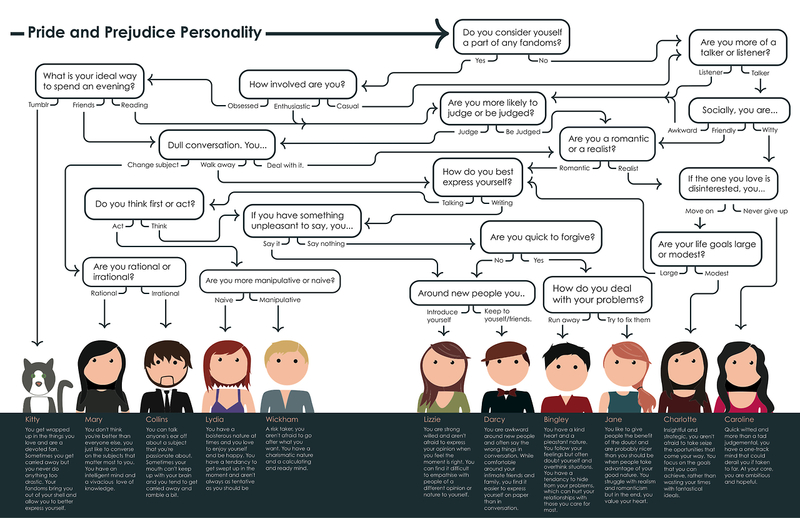 Wordless Wednesday: Which Pride and Prejudice Character Are You? do watch the Lizzie Bennet diaries perchance? I haven’t even heard about the Lizzie Bennet diaries (which is making me question my austen fan ability) but it sounds like something I should google and start watching immediately. I demand a requiz … it must be the name.